This page covers the meaning of stones in the alphabetic section of G, meaning that all the stones below start with G. There are so many different crystals on this site, that they are divided into individual pages in specific alphabetic groups. Many if not all of these stones are also featured in other pages and articles within the Healing-Crystals-For-You.com web-site. A good number have had an individual page written just about that crystal. 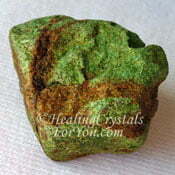 They may also feature of a page about a subject that this stone is known to help, and on various chakra pages. The photo grid below is only the G section of the alphabetical list. Read through the list of stones in the table below, to see if the stone you are looking for is there. 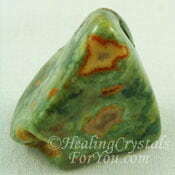 This will assist you to locate information on a particular stone more quickly. Check out the pictures below. Note that you will find the name of each crystal under the picture of each stone, and some will be highlighted with a link. 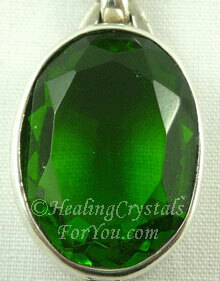 Clicking on the link will take you to an in-depth page where you may find more detailed information on that stone. This site also has a number of pages that cover various ways of using your crystals and articles concentrating on specific aspects of their energy, such as developing psychic gifts or enhancing your creativity for example. This means that most of the stones on this page will also be mentioned on other pages on this site. At the bottom of the page there is a list showing the chakra stones. It outlines which chakra the stone may heal, and if you want to know more about individual chakras, the names are links for specific pages for each of the chakras. 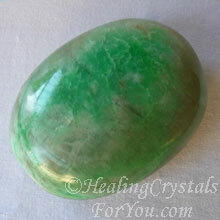 Gaia Stone is a lovely bright green stone that carries the energy of the soul of the earth. These stones are made from the ash from Mount Saint Helen's volcano. They have the energy of both the thymus chakra and the heart chakra, and carry a strong vibration of love and compassion. The meaning of stones like these lovely green crystals is powerful, as they embody Goddess energy and they promote loving relationships. 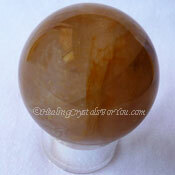 They will aid the development of both magical and psychic abilities, particularly psychic visions or clairvoyance. 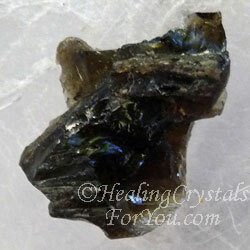 Galaxyite is a micro-labradorite with an intense energy to cleanse and balance the aura. 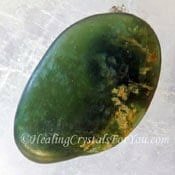 It is a strong healing stone that assists stress and anxiety, is helpful for the eyes, and it aids issues with the metabolism and helps digestive problems. The most interesting meaning of stones like these relates to its action to encourage or boost the materialization of incidents or experiences in your life. These may be large or small matters that occur. The way they work is that they boost small actions to happen regularly, but larger events only now and again. To some degree it does depend on the way that the user of these stones focuses their attention. Once you see that events are beginning to unfold you might choose to give a specific event more attention to bring it into manifestation more quickly. As Galaxyite stones are a variety of Labradorite, they are also crystals that encourage coincidence or synchronicity. So you can see how well this would work to aid you to make major changes in your life. 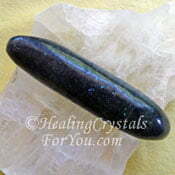 Use this third eye chakra stone in meditation to boost psychic ability and to bring the focus of a group together. Galena is a lead mineral, so this makes it another stone that you need to take considerable care with when you are using it. Like other stones that may be risky to use, take care with touching this stone. I generally use stones that are unsafe in any way inside a cloth bag, and you may choose to only use it within a sealed bag. It should not be used to make crystal elixirs unless you use the indirect method, where there is glass between the stone and the water. 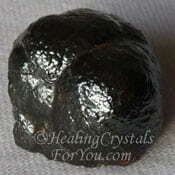 It does have excellent metaphysical properties, and it can both ground and center your energy. The meaning of stones like these also relates to the fact that it is a good healing stone, and is known to aid the healing of alzheimer's disease, and can help thyroid problems. Ganesha Quartz have a beautiful and quite unspoiled vibration as they come from high in the Himalayan Mountains, from an area located in Eastern Indian. The meaning of stones like these is interesting, as many have breakage or fractures in the crystal which are caused by the extreme cold. These high altitude crystals are also incredibly clear quartz crystals, that have a quite unique, very pure vibration. 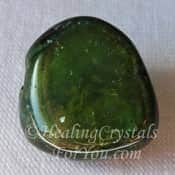 They may help you to make a connection with both the energy of the earth and the Divine, making them a wonderful stone to aid your spiritual growth. 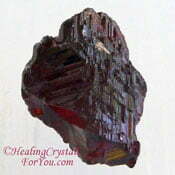 Garnet comes in a range of colors, including the deep red Almandine Garnet pictured here. 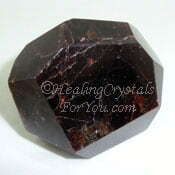 Although the Red Garnets are very common, this stone also comes in a number of other colors. This includes Black Andradite Garnet, green or yellowish green Grossular Garnet, Pink Garnet and yellow Hessonite stones. The meaning of stones in this family will depend on the actual color of the stone, but they all have a few things in common. All types of Garnet are strong crystals to aid prosperity and are good to help relationships by stimulating commitment to your partner. 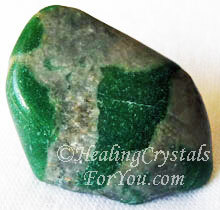 Garnierite are an excellent healing stone and like many green stones they vibrate with the energy of love and compassion. These stones were fairly uncommon in the past, but more of the stone has reached the market recently. They may be used with the law of attraction to increase your chances of winning in various ways, but specifically relating to games of chance. This stone is known as a "stone of acquisition" as they may assist you to increase the amount of "things" you may acquire. They have a good energy to benefit single people, both single parents and those simply living alone, and they assist the growth of confidence and self reliance. 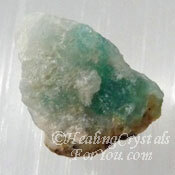 Gem Silica is a crystallized or silicated form of Chrysocolla, infused in quartz. It has a lovely joyful energy that may assist you to release old grief, and once released may aid forgiveness to bring revival of happiness in your life. This is a powerful throat chakra stone, in fact it is said to be one of the best stones to aid you if your life involves sound. The meaning of stones like these is associated with using the voice for singing or speaking. 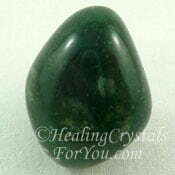 This is a powerful stone to use to improve communication, particularly with the Divine, your guides and angels, and it may stimulate psychic visions or clairvoyance. 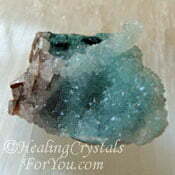 Gibbsite is a fairly uncommon stone and may be white, pale blue, grey or greenish white. The meaning of stones like these relates to their action to help you to be aware of the broader view or perspective in specific circumstances. They may help you to hold back from interfering in situations, until you know the full story. They have a good healing energy that may assist health issues occurring in the back, arms and neck areas, and in the glands of the throat. Their energy may assist you to make decisions in a more carefree way, as they help you to feel free of feelings of restraint and become more natural and unconstrained in your actions. Gilalite in Quartz is also known as Medusa Quartz, and this is because some pieces have long tendril like shaped inclusions in them. However most inclusions are rounded or mushroom like in appearance.Paraiba Quartz is another name for it, and this relates to the location of one of the mines that this crystal comes out of. 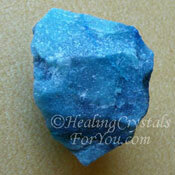 Gilalite is a teal blue copper based inclusion, and is not common. The meaning of stones such as these pertains to the way their energy vibrates within the throat and higher heart chakras, also known as the thymus chakra. Through its vibration within the throat chakra it encourages communication, both with other people, telepathically and with beings in the higher realms. 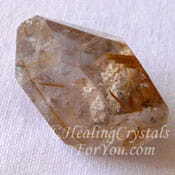 Girasol Quartz contains inclusions that create a quite unusual optical effect within the stone (hard to see in photos). These stones are sold under a few different names, including as Moon Quartz, Blue Opal Quartz and Foggy Quartz, as well Metamorphosis Quartz which is a trademarked name. 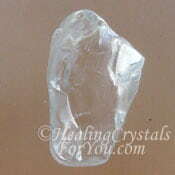 These crystals have a lovely energy, and vibrate strongly within the third eye, crown and soul star chakras. 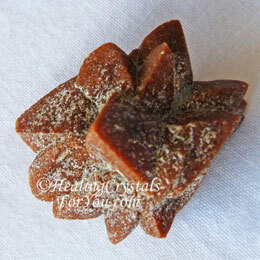 The meaning of stones like these relates to their energy, as they have some unique qualities, and this is not just a visual effect but the stones have a specific vibration that aids transformation. 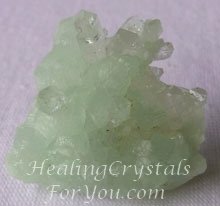 These quartz crystals are quite unique, as they help you to be aware, and that seems to be the important issue, to notice and make changes. Once you know what the path you are on is about, you can take action, as their energy aids you to make the changes needed to transform your life. Glacial Etched Quartz has a similar look to Nirvana Quartz, but its intensity is not as high. If you have tried Nirvana Quartz and found it overwhelming to use, try this slightly less intense quartz, that is also a type of ice quartz. The meaning of stones from this area of the world, where etched crystals are caused by being formed by the glaciers in Pakistan, are quite similar. Like Nirvana, Glacial Etched Quartz is very powerful to use in meditation, as it allows you to easily become mentally still. Its action helps to stop those thoughts that prevent you from getting into the flow of meditation. It is known to gently shift barriers to spiritual growth and helps you to feel comfortable to your level of progress and to move forward patiently. Glendonite was named for the location where it was first discovered, in Glendon in NSW Australia. It is what is known as a pseudomorph. 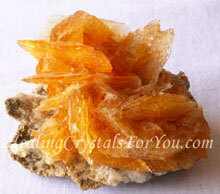 It is a type of calcite that occurs after Ilkaite crystals. Ilkaite is unstable, and if it loses its water content when it gets hot, it turns to Calcite. The meaning of stones like these strongly relates to the way they resonate within the higher chakras, and within the third eye chakra, and crown chakra in particular. Their energy is beneficial to stimulate psychic visions, also known as clairvoyant abilities, and is a powerful asset to use for meditation. It has an excellent energy to aid the brain, and it is said to stimulate the right hemisphere of the brain, and may aid it to take a stronger role in the brains activity. It may assist you to process thoughts and to think more clearly, and it is known to aid stress and may help broken bones to heal. It is also said to stimulate lightbody activation, and is powerful used in body layouts. 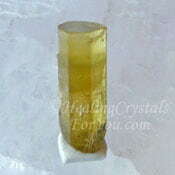 Golden Aura Quartz is a stunningly beautiful quartz crystal, that is also known as Imperial Gold Quartz. 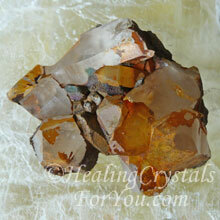 This is a variety of aura quartz where the color is created by a man made process. The meaning of stones is similar in some ways to other crystals in the aura family of quartz, where finely powdered titanium, iron and other minerals are bonded to the stone using heat. 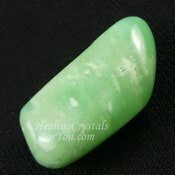 The color of these crystals is permanent and these crystals are stunning to look at, as well as having some very useful gemstone meanings. 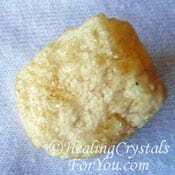 These crystals resonate strongly within the solar plexus chakra, and they are excellent crystals to aid manifestation. 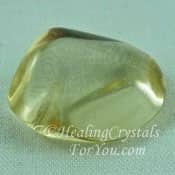 The vibration of this crystal helps to unite the heart chakra with the solar plexus chakra and this is an excellent energy that creates joy, happiness and optimism about life. 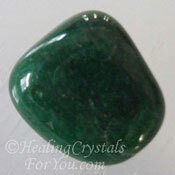 It is a beneficial healing crystal, especially for assisting emotional difficulties. They are known to aid many stomach related problems, such as issues within the stomach, liver, gall bladder and spleen. 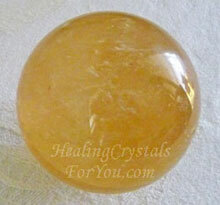 Golden Calcite is also known as Amber calcite, because it is a deep amber yellow color. 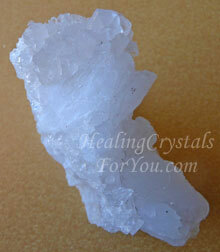 Calcite is one of the most abundant types of minerals on the planet. Their abundance means that they come in an amazing range of colors and configurations. The meaning of stones made of Calcite in this color, relates to both the solar plexus chakra and quite strongly to the higher chakras. This color is the color of the Golden Light, that light that you can get in touch with during meditation. 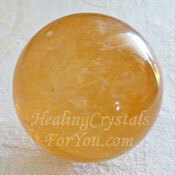 Working with the golden light has amazing possibilities for spiritual growth and healing. 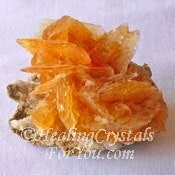 If you feel drawn to Golden Calcite at this time this is not surprising, as there is so much happening spiritually on the planet right now. 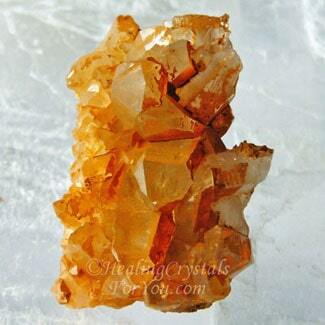 Use one of these calcite crystals in meditation to connect to the Golden light, and with your higher self and the Divine mind. 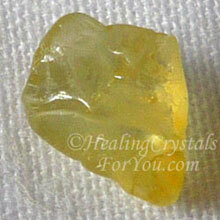 Golden Chrysoberyl resonates within both the heart and solar plexus chakras. This energy at the solar plexus is potent to strengthen your personal power, and is excellent to boost manifestation in your life. 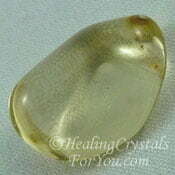 The meaning of stones like these in particular relates to how it makes a connection between the heart and solar plexus. By combining these two energies, it may boost manifestation, bringing you the things that you desire, in a loving way. It helps you to utilize spiritual thinking to improve your life, and it has a good healing action within the solar plexus area, assisting areas such as the liver, kidneys and gall bladder, and helping to remove toxins from the body. Golden Danburite is also known as Agni Gold Danburite, and is a lovely bright yellow variety of this stone that comes from Africa. 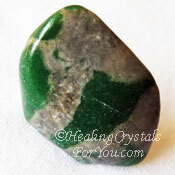 The meaning of stones like these is associated with its action to aid you to solve problems, and it is wonderful to assist your spiritual growth. It works within the higher chakras, and helps you to make a stronger connection to the spiritual realms and the angelic kingdom, and it is powerful used in meditation. 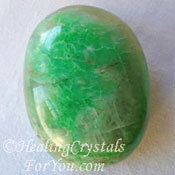 It may assist you to gain guidance from Spirit and it may help you to think more clearly. 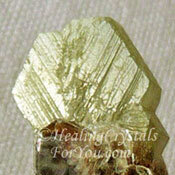 Golden Dravite is also known as Yellow Tourmaline or Champagne Tourmaline and is a variety of Dravite. 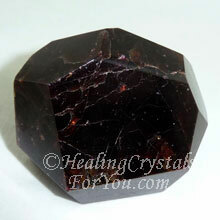 Dravite is more commonly a deep brown color but it also occurs as this lovely clear golden stone. 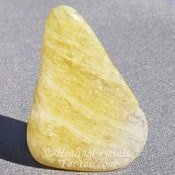 This is a strong solar plexus chakra stone, that has a vibration that will stimulate an increase in your ability to use your personal power to improve your life. The meaning of stones like these relates to how they may assist a growth in your self esteem and personal power and aid self confidence. They may help you if you are working on manifesting, and they are known to stimulate an increase of abundance and prosperity. 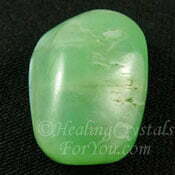 They help you to develop a greater degree of trust in role of the Divine in your life. 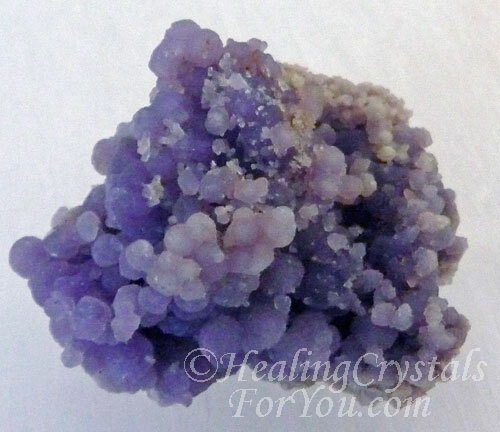 These are good stones to assist you when you are working on past life recall, and they may help you to release old past life trauma you may not have been aware of before. 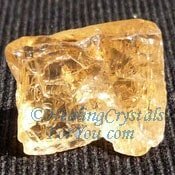 Golden Healer quartz crystals are stones that have a fine coating of transparent yellow or golden color on them, possibly iron hydrate. 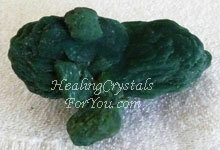 These lovely crystals will help you to raise your vibration, and may be used in meditation. They resonate particularly strongly at the highest spiritual level, and encourage access to the golden light, and the spiritual ray of Christ consciousness. The meaning of stones like these also relates to helping you if are working on developing psychic visions also known as clairvoyance. 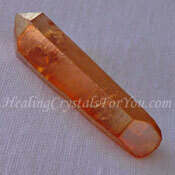 They have a good healing energy within all of the chakras of the body. If you are using them to heal yourself, they are particularly useful to aid any emotional issues you may have, especially regarding your personal power, as they resonate strongly at the solar plexus or power chakra. 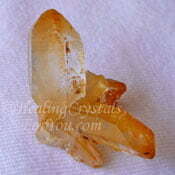 Golden Selenite is the transparent golden colored variety of gypsum, that is also known as Sunset Gold Selenite. 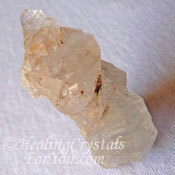 It occurs in these stunningly beautiful crystal clusters, and as a lighter yellow colored crystal as well. The meaning of stones in the Selenite family all relate to the way that they aid your spiritual development. They bring spiritual light down from the higher realms to help to create personal transformation. 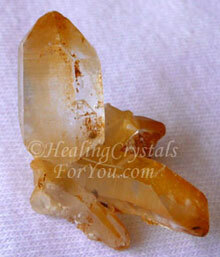 This golden variety of Selenite is a powerful tool to use to aid you, and they are effective when used in meditation. 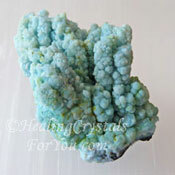 They assist you to connect with spirit guides and help to facilitate a connection to the higher realms. They will also clear stagnant energy from all areas of the auric field. This crystal resonates strongly, and is a wonderful tool to use to assist your spiritual journey. It has a strong resonance at the third eye and solar plexus chakras, and is helpful to enhance psychic abilities, as it facilitates a stronger connection between yourself and the higher realms. Gold Sheen Obsidian is a variety of obsidian that has a golden sheen on the stone, that is fairly easy to see when held in a specific light. 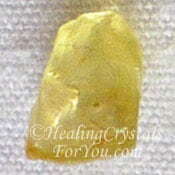 These crystals have a strong vibration at the solar plexus chakra in particular, as well as at the base chakra. They are excellent to stimulate the health of the body, as they help you to release fear and help you to let go of negative thoughts and habits that are holding you back. The meaning of stones like these also relates to their energy to help you to solve problems, by allowing you to see the basis for the issue. It's energy will also help you by aiding you to discover what course of action you could take, to provide you with what you need in your life. 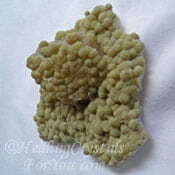 Goosecreekite is a rare member of the zeolite family, and when you hold it in your hand it seems to have a similar energy to most other zeolites. 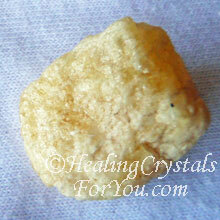 The meaning of stones in the zeolite family relate to their strong energy to act as cleanser of toxins from the body. These are also referred to as scrubber crystals, and this group are a powerful aid to help with the removal of built up toxins in the body. 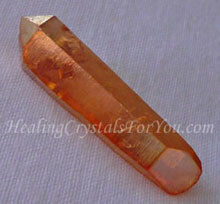 They also help to remove negative energy. Most zeolites work within the higher chakras from the third eye up, and are commonly used to aid spiritual growth. 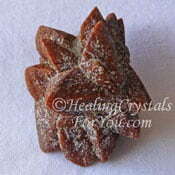 The vibration of Goosecreekite can be easily felt at the crown chakra, and it can make you spacey very quickly. 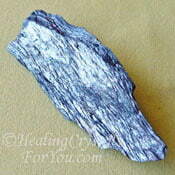 Grandidierite is a fairly uncommon stone with excellent metaphysical properties that assist the growth of family unity. 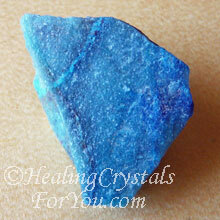 The meaning of stones like these is associated with its action to stimulate improved communication ability. Their vibration is known to assist you with decision making, by assisting you to assess the information available in order to gain a proper and accurate awareness of the facts involved. They have a lovely heart based energy, that allows you to live life from the heart, with compassion, charity and kindness. Graphite is fairly well known to most people as it is the center part of the pencils that most of us used when we were learning to write. The meaning of stones like these relates to its traditional use, and its name comes from the Greek word meaning "to write". 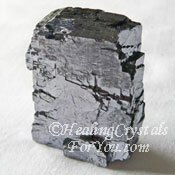 Graphite is a beneficial stone for writers to use as it improves your writers gifts, as it stimulates your thinking, and using it in meditation may trigger the psychic gift of automatic writing. 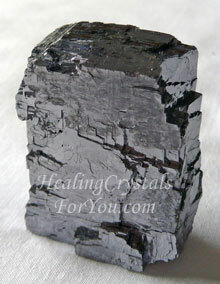 It has a helpful energy for healing, as it is a good conductor of electricity. The vibration embedded in Graphite stone benefits healers as it stimulates the body to heal a range of ailments including issues in the spine and muscles, the hearing and problems in the elimination system. 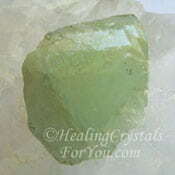 Green Apatite is an excellent abundance stone, and this is about being abundant on all levels. Its not always about money, as they may also create an abundance of love and good health. If you are too attached to money, or conversely if you are someone who feels that wanting money is not appropriate, it will help you to understand that money is just another element of energy and should be seen as such. The meaning of stones like these relates to their action to unite the energy of the heart chakra with the throat and third eye chakras. 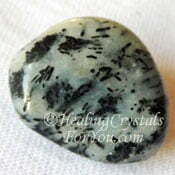 They are excellent crystals to stimulate your intuition, and this is a lovely stone if you are anxious or stressed. 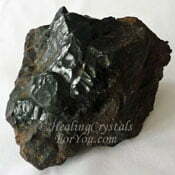 It is helpful to relieve stress, as it has a lovely relaxing and balancing energy. 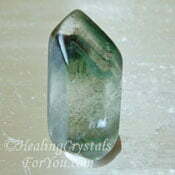 Green Apophyllite is a heart chakra stone that resonates with the natural world and nature spirits. The meaning of stones like these strongly relates to their ability to aid communication with nature spirits, elementals and animals. They have an excellent energy that can be used to aid telepathic communication with animals. 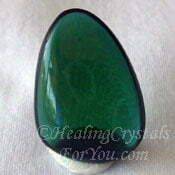 They help you to bring in and utilize the energy you need from the source of all energy. 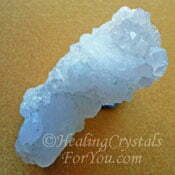 You can use these crystal to aid healing as they may aid detoxification. 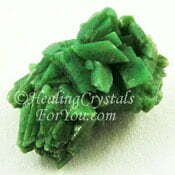 Green Calcite aids the heart chakra, and will help to heal emotional problems and to restore balance to you mentally. It helps to heal the body physically, and is a good stimulator of the immune system. 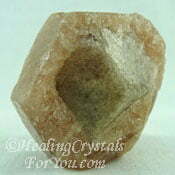 The meaning of stones in the calcite family are similar, but still have some differences. 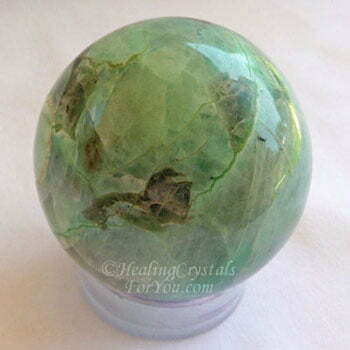 The energy of the green crystals will help you to be more in tune with the energy of nature, and may aid you to connect with plants and animals. They help you to release stress, and having one under the pillow helps you to have sweet dreams. 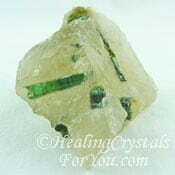 Green Chlorite Quartz are crystals that embody green chlorite in them, often as phantoms of chlorite within clear quartz. These may be created by chlorite covering a crystal during its growth cycle, with the clear quartz again continuing its growth and covering the green chlorite within them. They have a lovely heart based energy, that are powerful to use in meditation to help you to go deeper when doing inner journeys. The meaning of stones containing chlorite relates to how they assist you to vibrate at a similar vibration as the Schumann resonance, the electromagnetic field of the earth. This aspect of their energy may assist you to heal if you are sensitive to low frequency radiation sources such as computers and wi-fi. Their energy will assist contact with angels and other beings in the higher realms, and they may stimulate the growth of psychic visions. They also have a good energy to help you to connect with nature spirits and may assist you to use earth energy better. Their energy is similar to the lovely Green Seraphinite crystals, and like these lovely stones they may assist self healing and stimulate your spiritual growth. They also connect you to the source, enhancing the flow of Divine love in your life, so you may receive spiritual abundance, and they have a strong heart based energy. The meaning of stones like these also relates to the true meaning of abundance, as their energy may boost the growth of your specific gifts, to aid you to improve your progress through life. Green Fluorite occurs in a number of forms and these lovely naturally occurring octohedron shaped crystals are one of the forms. 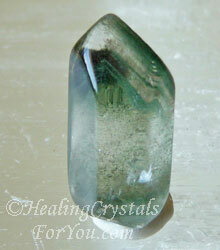 This crystal resonates within the heart chakra and aids emotional healing as well as healing the physical body. It has a good healing action within the stomach and is known to sooth the intestines and may aid a sore throat. The meaning of stones within the fluorite family are similar, as all colors help to create cleansing within the auric field and help to clarify your thinking. 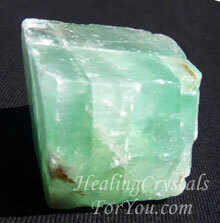 Green fluorite helps to bring your thinking to a more heart based place, and helps to stimulate your intuition. Green Ridge Quartz crystals come from the Cascade Mountains in Washington State USA, and they are quite stunningly beautiful crystals. 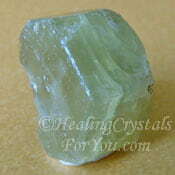 There are various types of Green Ridge Quartz and many pieces have iron staining or an iron coating on them. 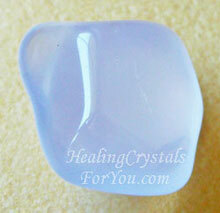 There are also lovely clear and Amethyst colored stones. I decided to buy a whole set of these as well as a lovely high vibration clear piece, to use at the transpersonal chakras. Each stone in a set may be used at specific chakras, but if you only had one you can of course use it at any spot to aid your healing. It has a small amount of iron coating, and this is helpful to remove lower vibrational energy from your auric field. The meaning of stones like these is all about healing, as they are potent stones for crystal healers to use to lay on the body, and they may be used for kundalini activation. Various colors work in different ways. Judy Hall has a lot of information about how they are used and the best ones to use for specific purposes. 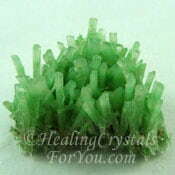 Green Stilbite is Stilbite that is said to be green due to the inclusion of Celadonite. 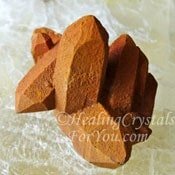 The meaning of stones of all colors of Stilbite relates to its action to aid your creativity and to assist the growth of psychic gifts. They resonate strongly within the third eye chakra, the crown chakra and heart chakra. They will assist you with developing intuition, and may stimulate psychic knowing. 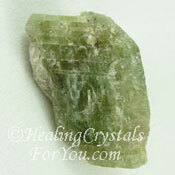 Green Stilbite has an extra action as it resonates very within the heart chakra, bringing extra loving energy into your life. Green Zoisite is sometimes sold as Green Thulite, especially the striped stone, which is incorrect as Thulite is a manganese rich type of Zeolite hence the pink coloration. 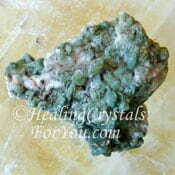 Often there may be Zoisite that is a mixture of colors, like the piece shown here, and while the meaning of stones may be similar, this is not Thulite. 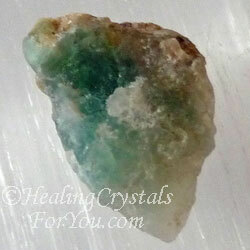 Green Zoisite is a lovely heart based stone that has a harmonious healing vibration. 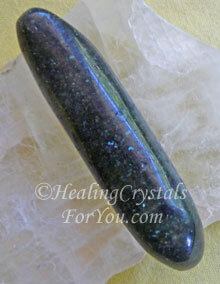 It brings through feelings of happiness and transmutes negative energy to positive energy and aids creativity. 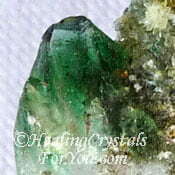 Zoisite can occur in a variety of colors and many of these are given specific names as they have different metaphysical qualities, including the Blue Zoisite known as Tanzanite. 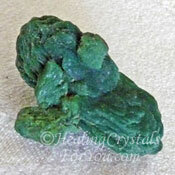 Green Zoisite also occurs mixed with Ruby and is known as Anyolite. 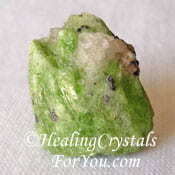 Grossularite is a type of Yellow Green Garnet and is also called Grossular Garnet. It is a strong stone for abundance and prosperity, and the meaning of stones in this color range in the garnet family are all beneficial to aid affluence. 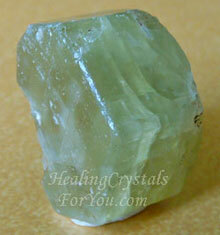 It is a very positive crystal for manifestation and wealth on all levels, emotionally, physically and creatively. 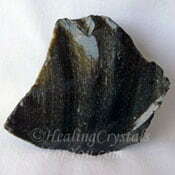 It has a strong energy for healing within a wide range of areas. 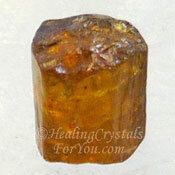 It has a powerful regenerative vibration, and is known to aid a range of physical problems, and works within the heart chakra, solar plexus chakra and base chakra. 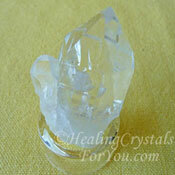 Growth Interference Quartz is a specific quartz configuration. There is more information on these configurations in the article on the various quartz formations. Guangdong Tektite comes from the Guangdong Province in China, and is a type of meteoric glass. 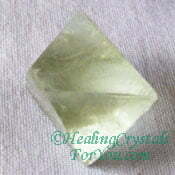 This crystal is known to assist you to identify others that you may have had a close relationship with in a past life. It may be helpful for both people involved to hold the stone at the same time, to assist them to recognize each other. The meaning of stones like these strongly relates to their action within the third eye where they are known to assist you to experience stronger psychic visions, and to stimulate intuitive gifts. 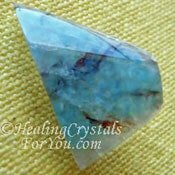 The energy of these stones assists you to develop intuitive abilities that combine with your visionary ability to assist you to identify what is occurring on a deep cellular level in all areas of the body. "Imagination is more important than knowledge. Knowledge is limited, imagination encircles the world." Albert Einstein. There have been a lot of excellent new crystal books published in the last couple of years, and while I can't buy them all, I endeavor to keep up with the ones written by popular authors. I love the latest book from Cassandra Eason, The Complete Crystal Bible and it features many of the more common and less common stones. The Book Of Stones has a new edition. It was recently updated and I was happy to discover that there are quite a few new stones included. Of the more recent books, in particular I can recommend quite a few books written by Judy Hall, including Crystal Bible Three. This is similar to the other Crystal Bible books, but the stones here are less common or in some cases even rare crystals. Another one of Judy Hall's books is on a very interesting topic. Its name is Crystals and Sacred Sites, Use Crystals to Access the Power of Sacred Landscapes, and you discover information about many extraordinary places and the powerful stones that originate from these areas. To learn more please read my crystal book reviews here. Third Eye Chakra: Gabbro, Galaxyite, Ganesha Quartz, Gem Silica, Gilalite in Quartz, Girasol Quartz, Glacial Etched Quartz, Glendonite, Goethite, Golden Calcite, Golden Healer, Golden Rutilated Quartz, Golden Selenite, Goshenite, Green Apatite, Green Datolite, Green Diopside, Green Moonstone, Green Ridge Quartz, Green Stilbite, Green Tourmaline, Green Tremolite, Gyrolite. If you wish to find out more about stones that may interest you in another part of the alphabet, or whether a specific stone has its own in-depth page on this site, find out the meaning of stones in these categories by using the site map page, link below.